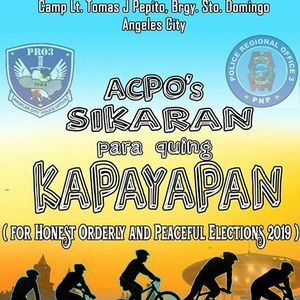 In line with the 2019 Midterm Elections on May 13, 2019, Angeles City Police Office once again organized an activity dubbed as “ACPO’s Sikaran Para Quing Kapayapan” Bike for H.O.P.E 2019 on March 31, 2019 that will be held at Camp Lt Tomas J Pepito, Sto. 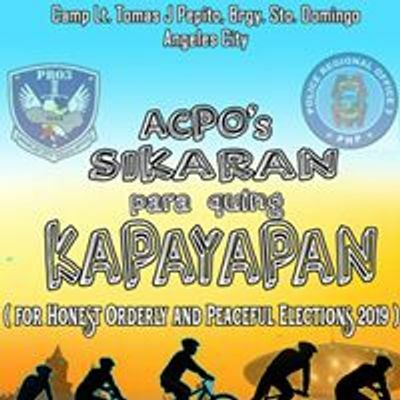 Domingo, Angeles City that aims for honest orderly and peaceful elections. This activity aims for HONEST. ORDERLY. 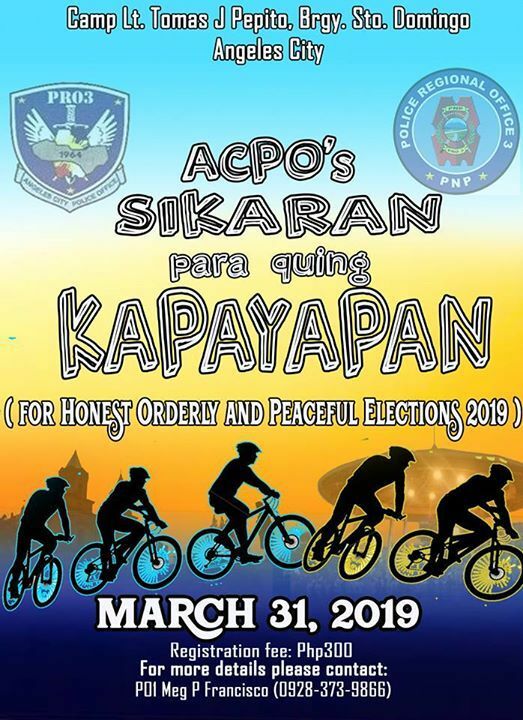 and PEACEFUL ELECTION.